Uranium supplies will not limit the expansion of nuclear power in the U.S. or around the world for the foreseeable future, according to a major new interdisciplinary study produced under the auspices of the MIT Energy Initiative. The study challenges conventional assumptions about nuclear energy. It suggests that nuclear power using today’s reactor technology with a once-through fuel cycle can play a significant part in displacing the world’s carbon-emitting fossil-fuel plants, and thus help to reduce the potential for global climate change. But determining the best fuel cycle for the next generation of nuclear power plants will require more research, the report concludes. The report focuses on what is known as the “nuclear fuel cycle” — a concept that encompasses both the kind of fuel used to power a reactor (currently, most of the world’s reactors run on mined uranium that has been enriched, while a few run on plutonium) and what happens to the fuel after it has been used (either stored on site or disposed of underground — a “once-through” cycle — or reprocessed to yield new reactor fuel). Ernest J. Moniz, director of the MIT Energy Initiative and co-chair of the new study, says the report’s conclusion that uranium supplies will not limit growth of the industry runs contrary to the view that had prevailed for decades — one that guided decisions about which technologies were viable. “The failure to understand the extent of the uranium resource was a very big deal” for determining which fuel cycles were developed and the schedule of their development, he says. In the United States, the idea of a limited uranium supply prompted decades of planning aimed at ultimately developing “fast spectrum” reactors to breed plutonium. 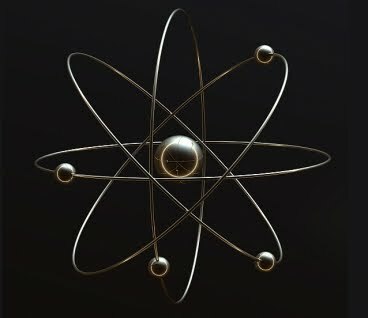 Such systems convert non-fissile forms of uranium — that is, not capable of sustaining a nuclear reaction — into different fissile elements, including plutonium, that could be used to fuel other reactors. Thus, via fuel recycling, they create a much greater supply of reactor fuel than could be obtained by relying only on fuel made directly from processed uranium ore. 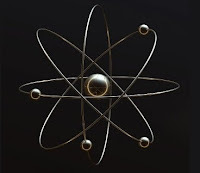 But it would take a conventional light-water reactor (LWR) 30 years just to provide the plutonium to start one such breeder reactor, and so far, such systems have not been found to be economically viable. The new study suggests an alternative: an enriched uranium-initiated breeder reactor in which additional natural or depleted (that is, a remnant of the enrichment process) uranium is added to the reactor core at the same rate nuclear materials are consumed. No excess nuclear materials are produced. This is a much simpler and more efficient self-sustaining fuel cycle. There’s an additional benefit to this concept that would provide a built-in protection against nuclear weapons proliferation: Large amounts of separated plutonium, a nuclear-weapons material, are needed to start the breeder reactors in the traditional fuel cycle. In contrast, the starting uranium fuel could not be used for a weapon. On the downside, however, there are little hard data on whether such a cycle would really be practical and economically competitive. One of the report’s major conclusions is that more research is needed before such decisions can be made. One reason the study came to such different conclusions from previous research is because it looked at the various components — from mining to reactor operation to waste disposal — holistically, explains Mujid Kazimi, the TEPCO Professor of Nuclear Engineering at MIT and co-chair of the study. “When you look at the whole thing together, you start seeing things that were not obvious before,” he says. The report — the latest in a series of broad-based MITEI studies of different aspects of energy — was produced by 10 faculty members, three contributing authors and eight student research assistants, with guidance from a 13-member expert advisory panel from industry, academia and nonprofit organizations. It was funded by the Electric Power Research Institute, Idaho National Laboratory, Nuclear Energy Institute, Areva, GE-Hitachi, Westinghouse, Energy Solutions, and Nuclear Assurance Corporation. The report also concludes that in the United States, significant changes are needed in the planning and implementation of spent-fuel storage and disposal options, including the creation of a new quasi-governmental body to oversee the process. Planning for how to deal with the spent fuel should be closely integrated with studies of the optimal fuel cycle, the authors suggest. The report strongly recommends that interim storage of spent nuclear fuel for a century or so, preferably in regional consolidated sites, is the best option. This allows the fuel to cool, and most importantly preserves future fuel-cycle choices to eventually send the fuel to a geological repository or reprocess it for energy resource and/or waste-management benefits. The optimal choice will reflect future conditions, such as the scale of nuclear-power deployment and the state of technology and its costs. Ultimately, how to treat the spent fuel depends on the outcome of research, Moniz says. “Today, we would argue that we do not know whether spent fuel is a waste product or a resource,” he says. If the world continues to build once-through LWRs, it can be treated as waste and simply disposed of in a geological repository, but if the industry in the U.S. and worldwide switches to self-sustaining uranium breeder reactors, then spent fuel will become an important resource, providing the raw material to be enriched and produce new fuel. The report also strongly supports the present U.S. government policy of providing loan guarantees for the first several new nuclear plants to be built under newly revised licensing rules. Positive experience with “first-mover” plants — the first of these new U.S. plants built after the current long hiatus — could reduce or eliminate financing premiums for nuclear-plant construction. Once those premiums are eliminated, Forsberg says, “we think nuclear power is economically competitive” with coal power, currently the cheapest option for utilities. The potential for using nuclear power to reduce greenhouse-gas emissions is significant, the study suggests. In the U.S., nuclear power now represents 70 percent of all zero-carbon electricity production. While no new U.S. plants have been ordered in 30 years, 27 new license applications have been submitted since new regulations were instituted to streamline the process. Meanwhile, China, India and other nations have accelerated construction of new plants.